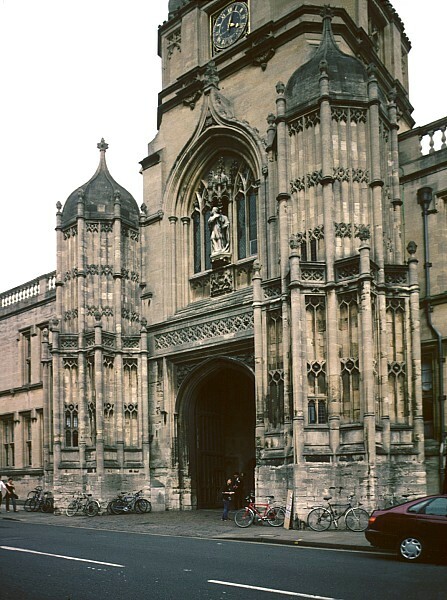 This main entrance to Christ Church College is a famous Oxford landmark. 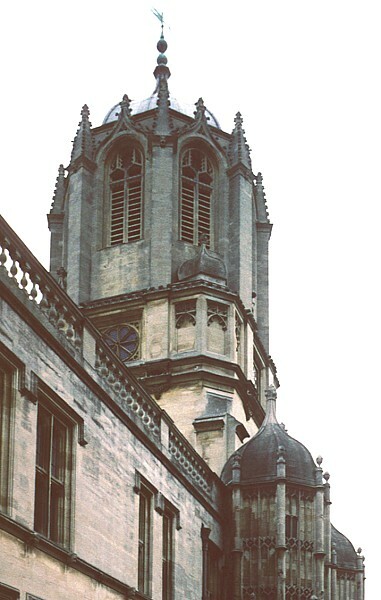 Wren constructed the square tower with the octagonal lantern on top of an arched entrance with turrets, which dates back to the 16th century. The whole is topped with a dome. 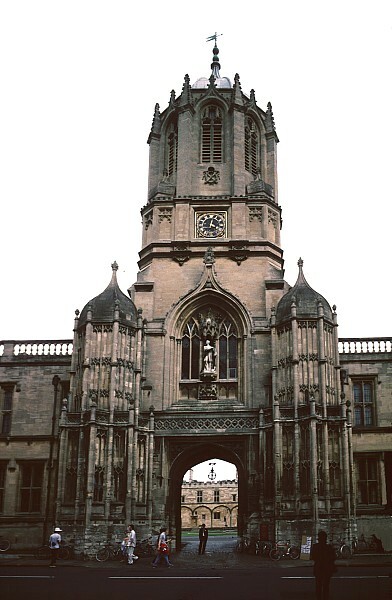 Eager to maintain some continuity with the two lower stories, Wren continued the structure in a somewhat less florid Gothic style. 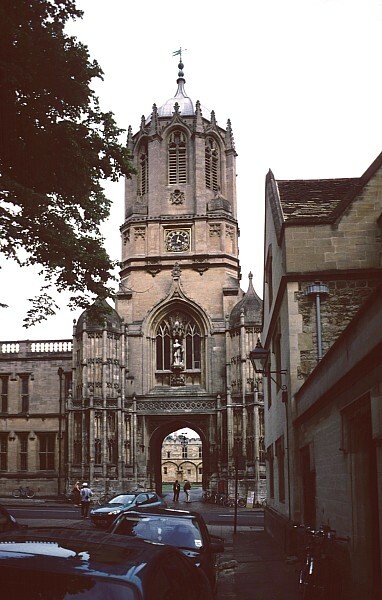 Great Tom, the loudest bell in Oxford weighing seven tons, is housed inside the tower, having been taken from the 12th century Oseney Abbey after the Reformation. 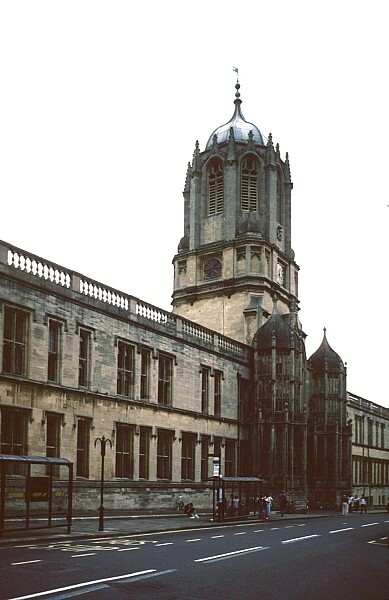 It chimes 101 times at 9.05 pm every evening--originally to sound curfew for the eighteenth century students as well as recalling the 101 resident students in the college when the tower was completed.